•Level One and Two housed animals for research at Eppley Institute. •Level Three and Four house Continuing Education. •Level Five house animals used for research in other departments and the biochemistry lab. •In 1993, five more levels were added to Eppley Science Hall. 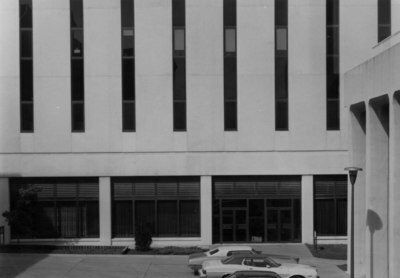 •Level Six housed administrative offices. •Level Seven and Eight housed scientists from the Eppley Institute. •:Level Nine and Ten housed scientists from the College of Medicine.